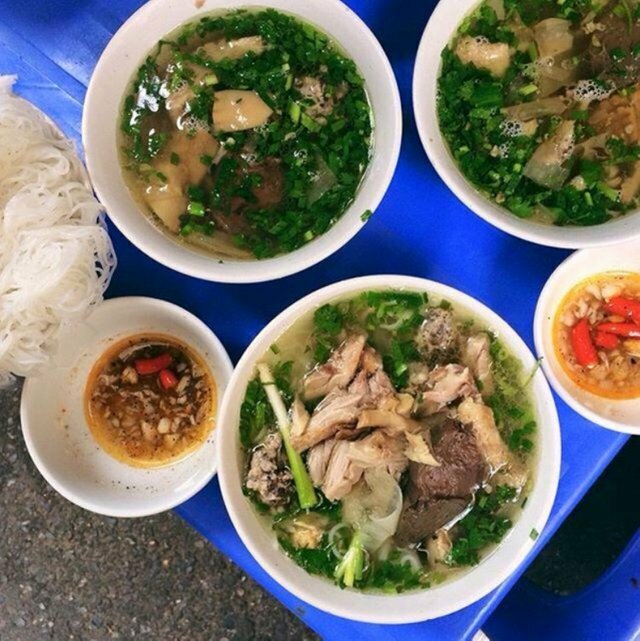 Situated on the sidewalks of Hang Bong Street, near Phu Doan Crossroads (Ha Noi), Hien's restaurant is located in the middle of the fashion shops so not everyone knows about this restaurant. 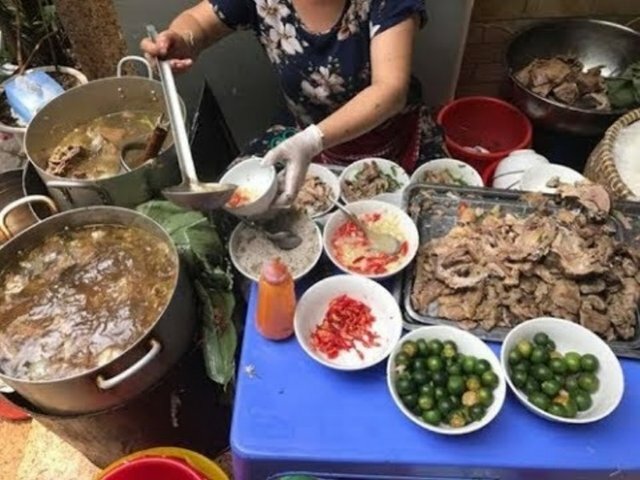 But once you have eaten here, you will not forget the bold flavor of chayote, specialty of the shop with sweet pineapple soup. The meat is spiced marinated, then roasted on the charcoal stove. After baking, the chopped pieces still retain the sweet taste of the meat. Fried with garlic and fish sauce, this sauce is specially prepared by the herbs unlike any other fry. 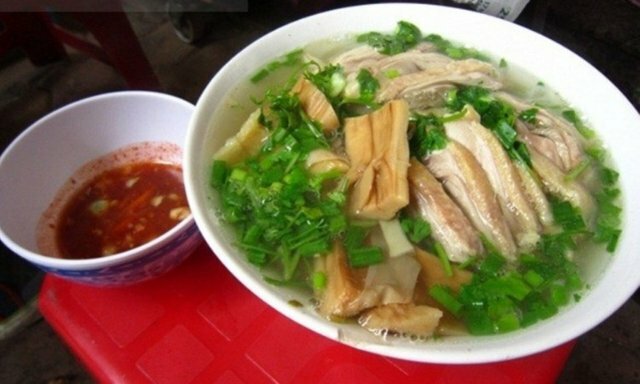 You can eat pork with bun with vermicelli, you should also add a bowl of bamboo shoots to eat when you feel not enough. Cucumber in Hien restaurant has the sweet taste of banana, you remember to call the bowl of water if you do not want to eat too much fat. 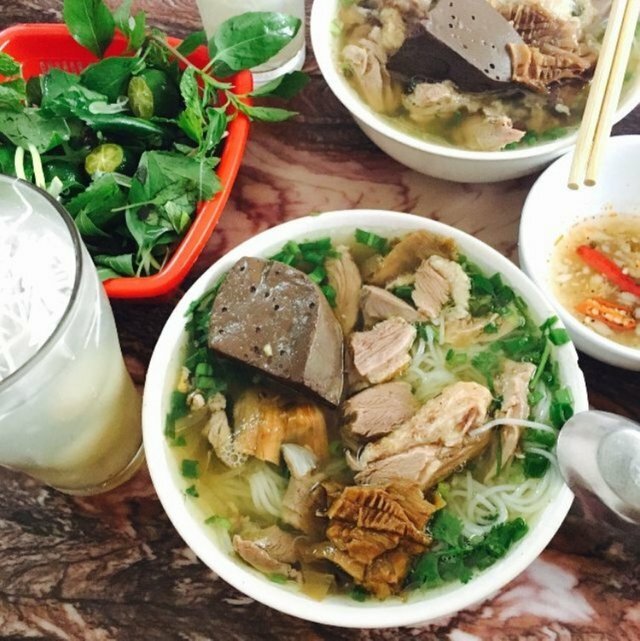 Quan Hien opened in the late afternoon and sold until late. Thank you for entering our < Your weekly choice > Contest . Thanks to @steemitblogs, Tasteem has become a more attractive guide. We upvote your post, wish you the best of luck in winning our Contest!